Work continues on remodelling the existing structures at the Greek Hovel as we await final planning permission for adding new structures, including a roof. 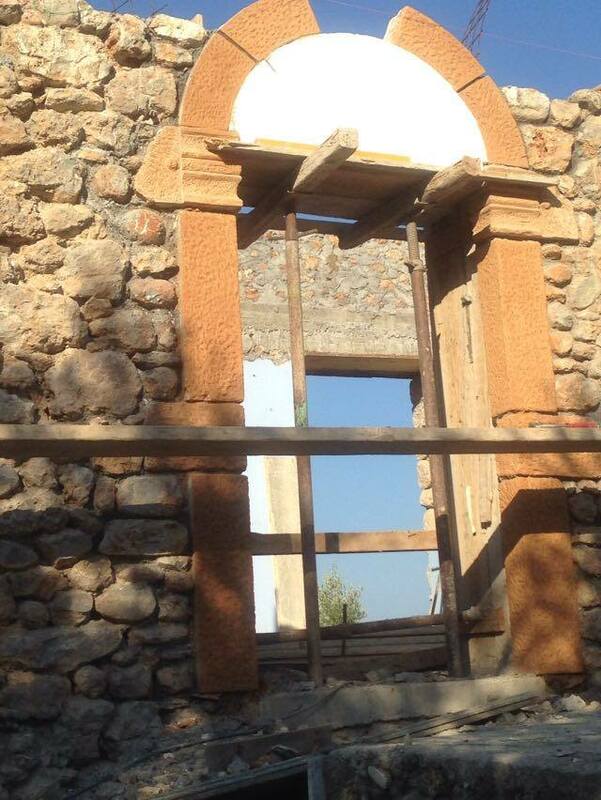 And so I bring you the new main doorway which is now almost complete as the photos below show. You may remember that the old door was a rectangular green metal and glass object which was not going to win any prizes in a beauty contest. It kept out the snakes but small lizards could manage to wriggle in around the frame. as the hovel becomes a palace I have grand designs. 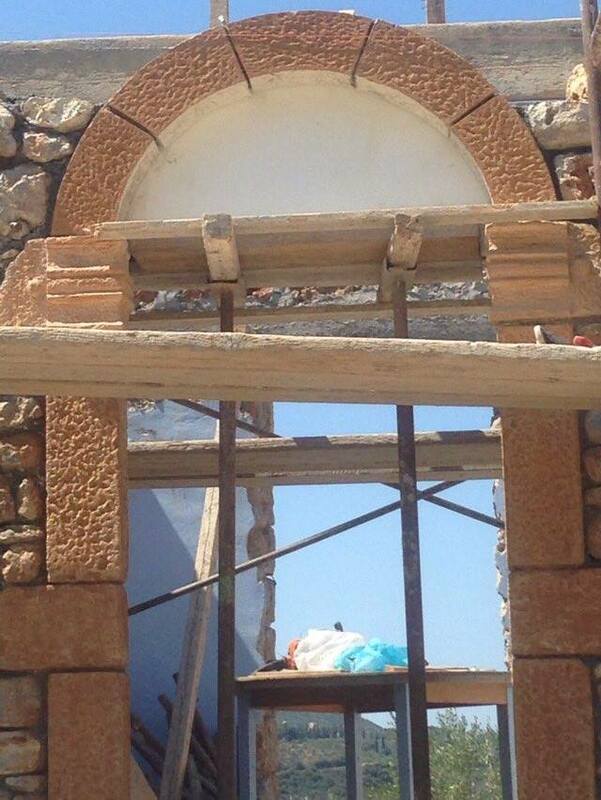 George the architect says that the stones used around the door and the arch above will lighten over the next few weeks so blending in with the existing stonework.The white plastic you see below the arch is temporary and there will be another ring of stones on top. The doorway will thus look like one in an old building in the centre of the nearest village, Kambos which is the last photo in the selection. 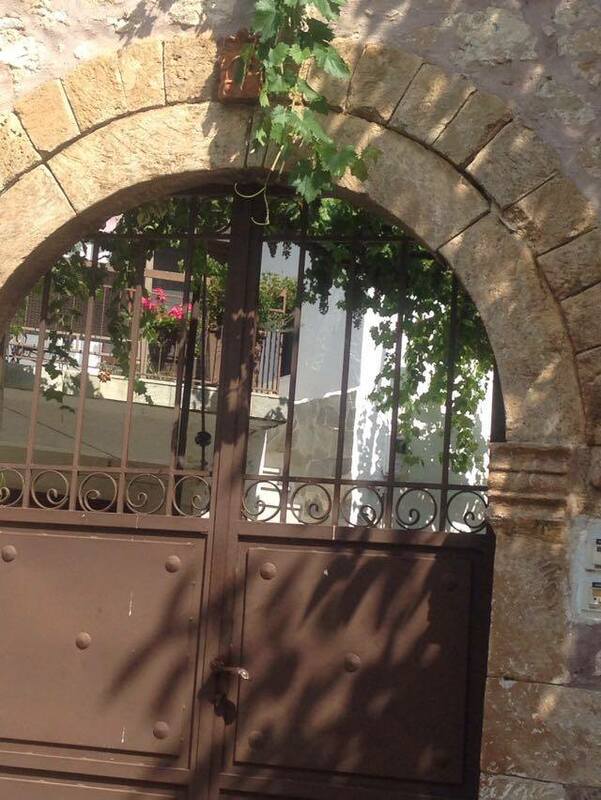 As for the door, here my pinching of ideas moves down the coast to the house that Paddy Leigh Fermor built just outside Kardimili. A thick wooden door painted a light blue has been ordered. But doors and windows are for the future. For now the wildlife diversity is free to enter at will. I leave for Greece early next week with the Mrs and Joshua. Sadly, for most of the trip we are booked in to stay with her sister and her husband, the bubble, whose family live about an hour and a half the other side of Kalamata. It is my friends in Kambos who I want to see and the hovel that I wish to photo and admire. Sitting near the sea at the height of the tourist season in the midst of a madding crowd is not MY Greece. That is sitting with the snakes and the quiet up in the foothills of the Taygetos. I shall try to escape as much as I can and bring you more photos on my rare snatches of freedom.